There is something comforting about the familiar when travelling. As much as I love adventure and exploring places I haven’t been before, I also love making repeat trips to favourite vacation spots. It’s like going to the cottage every summer — there’s always something new to discover, but you still feel like you’re home. The Diplomat Beach Resort — affectionately known as "the Dip" — is practically my family's second home, as we’ve been travelling to this beautiful property for more than 12 years. 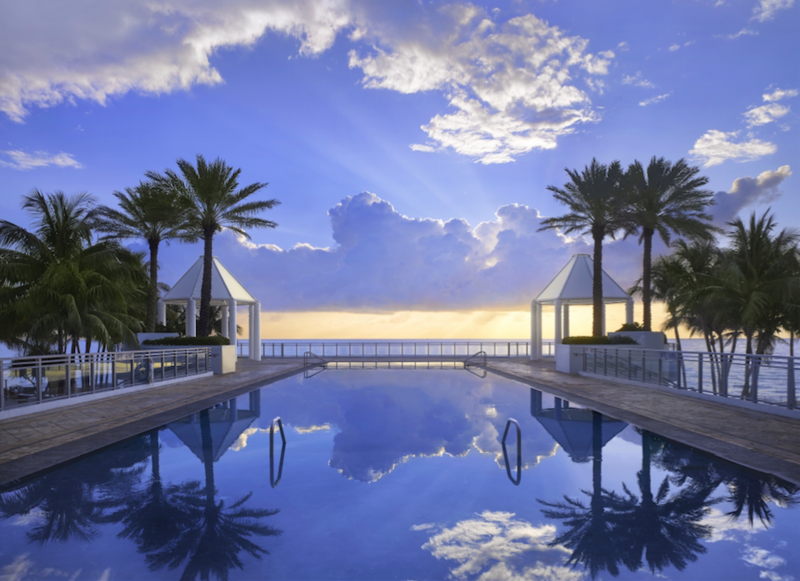 The familiar was new to us on our most recent visit, though, because this famous resort on South Florida's Hollywood Beach recently underwent a $100 million renovation. This is not the Dip's first reinvention; first opened in 1958, it's had some work done over the years, while always retaining the elegance that has made it a favourite haunt of athletes and celebrities (almost every U.S. President has stayed at the Dip, including Barack Obama). But this time, the resort has outdone itself, adding new amenities and projecting a playful, hip vibe from the moment you step into the grand lobby. It's important to know how to make an entrance, but the Dip knows how to make an exit as well. The rear of the lobby opens onto an elevated, oceanfront infinity pool flanked by patios for sunning. Below, a lagoon-style pool shaded by palm trees offers relief from the heat of the afternoon. Poolside cabanas can be rented by the day for that extra bit of space and privacy. Each is equipped with a ceiling fan, mini-refrigerator, flat-screen television set, and indoor and outdoor seating. For prime ocean viewing, check out the redesigned indoor-outdoor Hotel Bar, where you can refresh yourself with a juice-based drink or a classic cocktail. Comfortable seating arrayed around fire pits on the patio means you can go from from sun-drenched sipping to after-dark socializing without missing a beat. And of course, there's the beach. I love to relax and listen to the waves, feeling the warmth of the sun on my skin, but if you’re more adventurous (like my boys) you can rent an ocean kayak, paddle board or jet ski, or work up an appetite playing beach volleyball. If you like to keep up your workout routine on vacation, the Diplomat has a beautiful two-story fitness centre with all the equipment you need to break a sweat: elliptical machines, treadmills, stationary bikes and free weights, as well as personal training and group fitness classes. You can also enjoy yoga on the beach. After (or instead of) your workout, check out the Diplomat Spa and indulge in a full-body massage before venturing outside to enjoy the ocean view from the spa lounge as you relax with some tea. 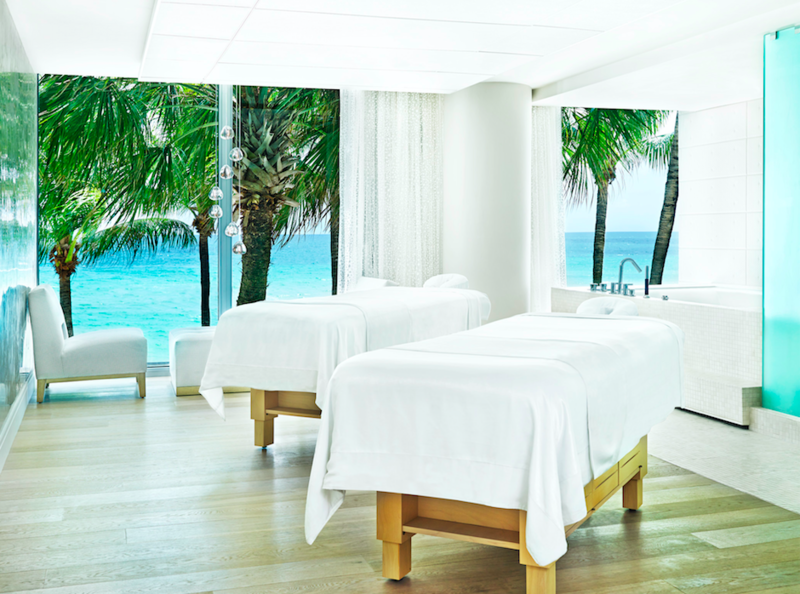 The Diplomat Spa has a full-service spa and beauty menu, including healing massages, facials, body treatments, manicures, and pedicures. The steam room and sauna can also be enjoyed post-treatment. Diverse onsite dining options are definitely one of the biggest perks of resort life, and the choices at the Dip don't disappoint. Counter Point is a bakery and coffee shop where you can pick up coffee and a light breakfast on the go if you don’t feel like indulging in the full morning buffet. The Canteen is the resort’s convenience store, where you can stock up on all the things you may need during your stay, like extra bottles of water, wine and snacks. For a casual burger night, head across the street to Diplomat Landing on the marina and enjoy Bristol's delicious made-to-order burgers, fries, and milkshakes. If you feel like Italian, you’ve got it at Portico Beer and Wine Garden. There is also Diplomat Prime, one of South Florida’s most famous steakhouses. Point Royal, celebrity chef Geoffrey Zakarion’s new seafood, steak, and raw bar, is a perfect place to dine for lunch or dinner (try the grilled Ora King salmon). My absolute favourite option, though, is Monkitail. 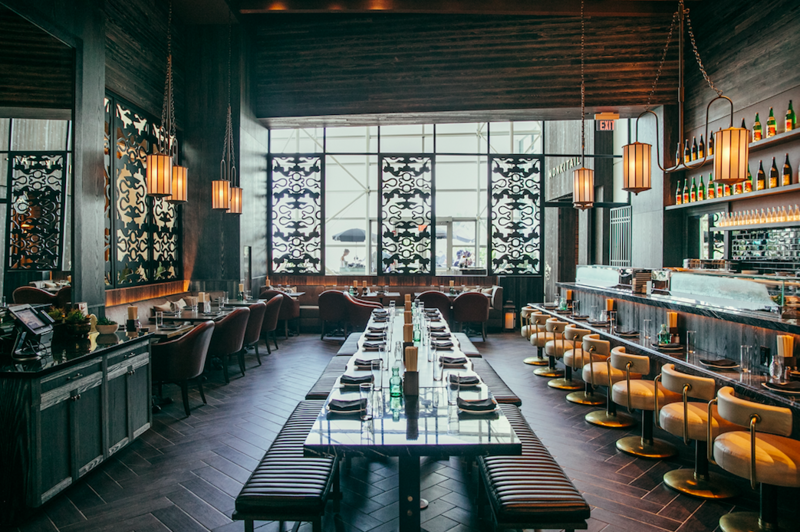 This new restaurant was voted the best hotel restaurant in America in 2017 by USA Today. I was so excited to try chef Michael Schulman's take on upscale Japanese cuisine, and it did not disappoint. If you love sushi, you’ll love Monkitail; order a bunch of small plates for the table including the Japanese fried chicken, Kobe beef, swordfish, sea bass sushi and edamame and go to town. What’s better than waking up to the sound of the ocean? The Dip's newly-renovated rooms and suites are modern, spacious and have stunning panoramic views of either the Atlantic or the Intracoastal Waterway. 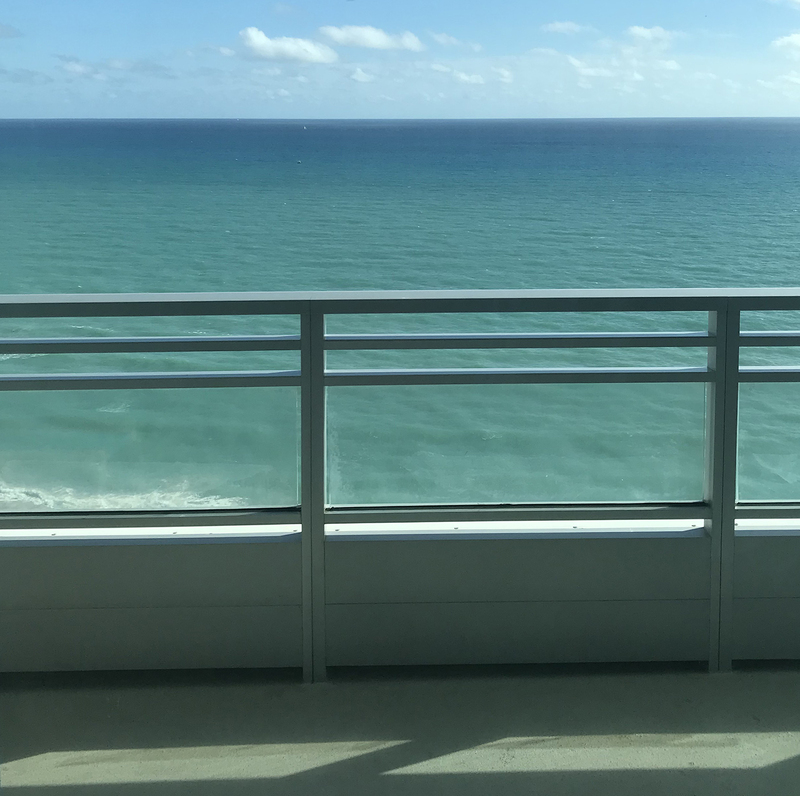 I always stay in an oceanfront room with a balcony so I can spend as much time as possible gazing at the water. On my most recent visit, I had the pleasure of staying in a corner suite with my family. With a beautiful wrap-around balcony, private bedroom, large bathroom, and spacious living room, we were really able to stretch out and enjoy our time together. The Diplomat Beach Resort is conveniently located between Fort Lauderdale and Miami, so you can explore South Beach, or head to the Fort Lauderdale Boardwalk. There are tons of outdoor activities to enjoy in each place, and of course, there is some incredible shopping, too, at Aventura Mall and the Bal Harbour Shops. Water taxis and city trolleys are also available for you to use to explore Hollywood Beach. Of course, you could just hang out on resort and enjoy all that the Dip has to offer. I think once you visit, you’ll find it hard to leave, and you’ll be planning your next vacation before you even check out.